Even the most accomplished pen restorers will admit that they are only as good as their tools. For those that might be curious, I will show a few tools that are used in pen restoration. I will just focus on the basic tools and post a few pictures of a few. Some pens and filling mechanisms require specialized tools that I will discuss in later posts. Knock Out Block – Necessary to remove the feel and nib from the section, after the section has been removed from the barrel. Dental Picks – A good set of dental picks are extremely helpful in scraping out old sacs from barrels and sac protectors. Also in scraping old sacs from sections and clearing feed channels. Forceps (long) Pliers – Useful for reaching into narrow barrels to pull out old sacs and pressure bars. Section Pliers – Note the padded ends. These aid in pulling sections from barrels. Often used in conjunction with gentle heat. Care always needs to be taken in knowing whether sections are friction fit or if they are threaded. Patience is a virtue when using pliers. Resist the urge to work to fast and use gently to avoid the dreaded cracking sound of a breaking barrel, section or cap. My section pliers are actually spark plug pliers and I use pieces of cut up bicycle tube as a padded grip. 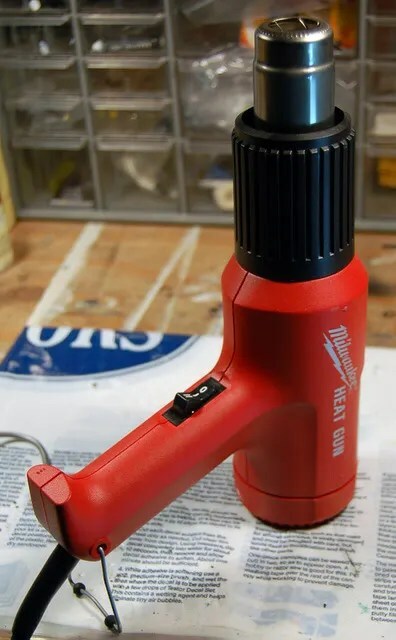 Heat Gun – Essential in warming pen parts that need to be separated. Old cementing agents and ink can often cause parts to weld together and gentle heat can aid in separation. Dremel – A good tool to use to polish nibs, if not plated. 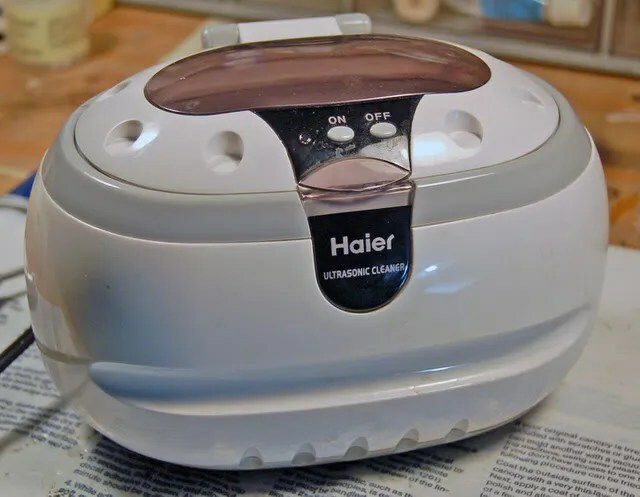 I always use mine on the lowest setting and just to remove stubborn stains. Also can be used on other metal parts such as clips, levers and trim. Again, on low setting and very carefully. 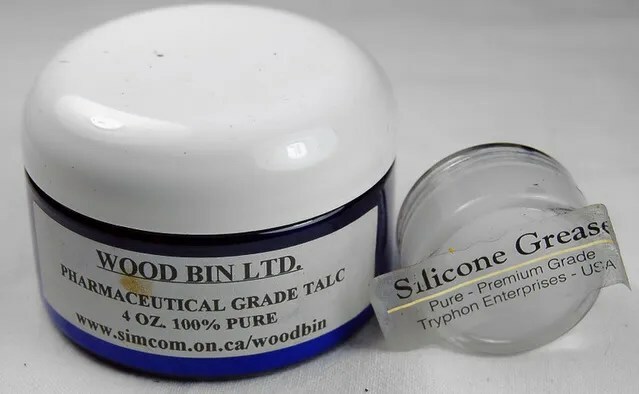 Silicone Grease – Used to aid lubrication in several different pens. Touchdowns and Snorkels use this to lubricate moving parts, with care taken to keep it away from any areas where liquids (ink) or air is to flow. Also, a good item to use on threads help sections screw together more easily. A small amount can be used to aid in piston filler movement. I use a toothpick to apply the silicone grease. Pure Talc – Coating sacs, especially in touchdowns and snorkels, with pure talc helps assure that the sac will not stick to the barrel or sac protector walls. Make sure that you use pure talc as some off the shelf talcs contain chemicals that can react with pen parts and cause problems. 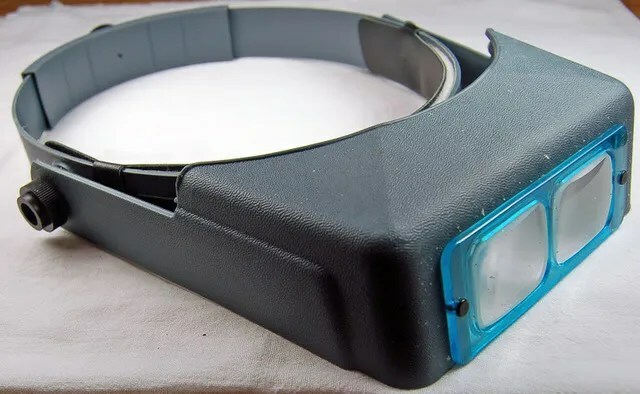 Magnification – I use this headset. It makes cleaning projects much easier. Also, some old barrel and nib engravings are only visible with this tool or a strong loupe. Goose Neck Light – Helps with those hard to see places like inside barrels and caps. 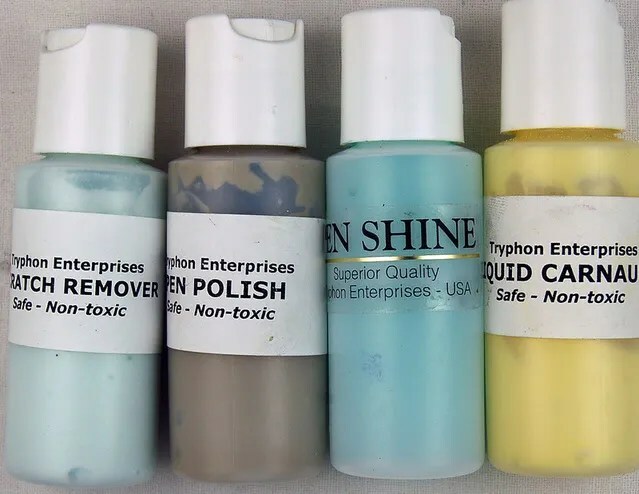 Scratch Remover/Polishes/Wax – These are good for hard plastic pens and should be applied with a clean soft cloth. I also use a q-tip for the hard to reach places. Again, do not use liquids with hard rubber. Smoothing Paper – Special grade paper to smooth nibs. Older nibs are often in need of smoothing a realigning. Sac Cement – Used to attach sacs to sections. 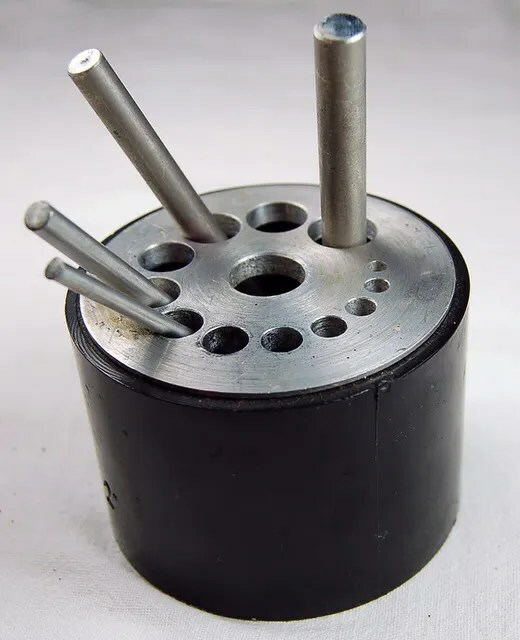 Inner Cap Puller – This is a bit more expensive, but I ended up getting a used one after I found that a good way to obtain a pen I wanted (in a cost efficient manner) was to buy a pen in excellent condition and lacking a clip. I then set out to find a spare cap of the same model (color not important) that was separate from its barrel, or was part of a pen in very poor condition. Using the inner cap puller, I have been able to put together a couple of very nice pens by removing a clip from a trashed pen and putting it on a clipless pen in excellent condition. This could not be done without the inner cap puller. I am reminded to cover this in a future post. Safety Pin – I use a safety pin to pry out old “O” rings from snorkels and touchdowns. Pen Parts (new) – A supply of Sacs of various sizes for different types of pens – jbars – pressure bars – “O” rings – seals. These are the basics needed to repair many vintage pens. Pen Parts (old) – A good tool box of used parts from pens that were used for parts, failed projects, or pens that could not be saved is very valuable. These are a good place to pick up extra levers, buttons, clips, sections, and nibs. These are the basic tools that are nice to have in basic fountain pen work. There are many more tools that prove useful to specific tasks for specific pens. For instance, if you are repairing a Parker Vacumatic, Moore Safety, or Sheaffer Vacuum Fill, specialized tools and seals will be necessary. Several professional restorers use lathes, presses and very specialized tools to craft their own replacement parts. I would once again refer you to the blog roll on the side of this post to visit fountain pen sites which refer to their excellent services. All of the tools listed above are available either from your local hardware or craft store, and some of the more specialized tools and supplies can be picked up on-line. I have included a few on-line retailers in my blogroll to the right of this post.